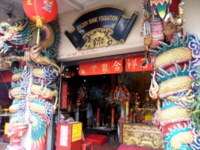 Bangkok communities are a rich diversity of various groups living and working in harmony, providing yet another fascinating facet in a tour of Bangkok legacies. These communities are identified by their ethnic groups descended from the early immigrants or by their trades and professions handed down through generations. Bangkok communities identified by their ethnic groups. 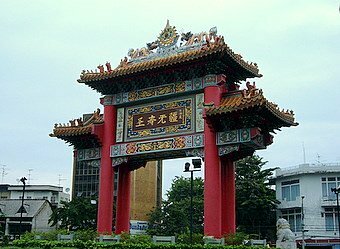 The largest of these communities is the Thai-Chinese community in Yaowarat Chinatown. 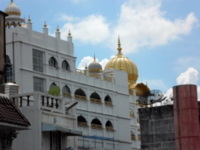 Another of the Bangkok communities is the Thai-Indian community in Pahurat Little India an area west of Yaowarat. 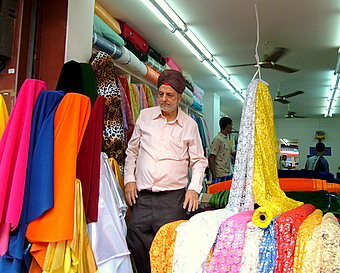 This is the business area of Thai-Indians, mostly Sikhs who engage in the textile trade. 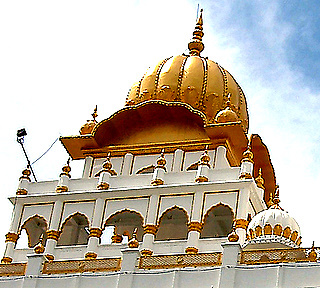 The prominent landmark in this area, dubbed Little India of Bangkok, is the Sikh temple, Gurdwara Siri Guru Singh Sabha with its golden dome. 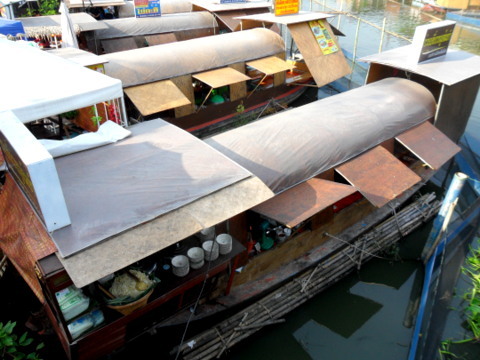 The Thai-Vietnamese form an old Bangkok community in Soi Mitrakham in the Samsen Road area. This Little Saigon, a predominantly Roman Catholic community has established a church and three schools in their area. The Mons, an old civilization from the Irrawaddy basin in Burma, is one of the oldest Bangkok communities. Since the 16th century, they have been suffered constant aggression from the Burmese. 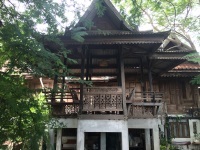 In 1571, King Naresuan granted the Mons refuge in Thailand. 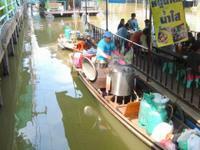 Subsequently more Mons settled along the Chao Phraya River. In the reign of King Rama I, the Mons raised an army to defend Kanchanaburi against the Burmese, during which a Mon reached the rank of general with the title Chao Phraya. 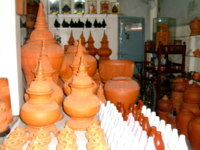 The Mons have lived in various parts of Bangkok since, like Ko Kred an island in the Chao Phraya River in Nonthaburi just outside Bangkok is famous for its pottery. Another Mon community is in Bang Kradi, a cohesive community that still practises its customs, handicraft and traditional way of life. 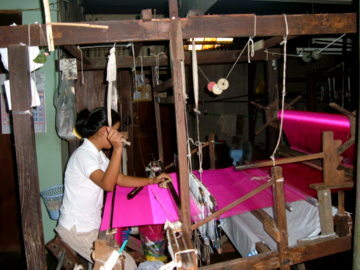 The Muslim Thai-Chams, a community of Thai silk weavers live in Ban Krua, along the Saen Saab Canal opposite the Jim Thompson House. These were the weavers who provided the early silk fabrics that set Thompson off on the road to fame. 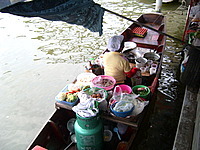 Other Thai-Muslim communities are also found along the Bangkok Yai and Bangkok Noi Canals on the Thonburi bank of the Chao Phraya. 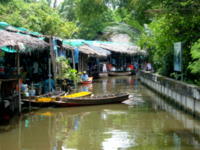 The Portuguese were the first Europeans in Thailand arriving during the Ayutthaya period in the 16th century. What's left of their community is the Santa Cruz Church on the Thonburi bank of the Chao Phraya River. 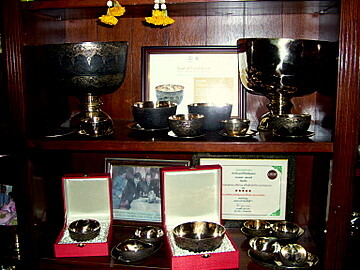 The alms bowl makers' community in Boriphat Road is one example. 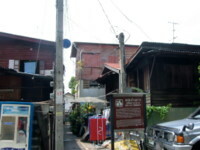 This centuries old community is situated at the junction of Boriphat and Bamrung Muang Roads, near the foot of Wat Saket, the temple on the golden mount. 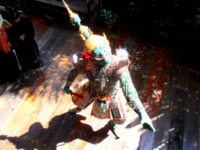 The Pracha Narumid community of wood craftsmen in Soi Pracha Rat 24 in the Bang Sue district is noted for their exquisite wood carvings and carpentry. 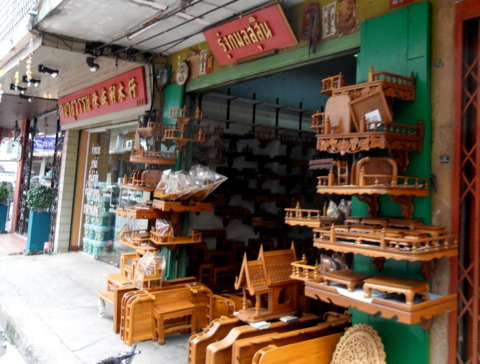 Once a year a wood handicraft street fair is organized to promote the products of these craftsmen. In sharp contrast are the Khon mask makers of the Saphan Mai community in Soi Prachachuen 18, which is a shadow of its former self. 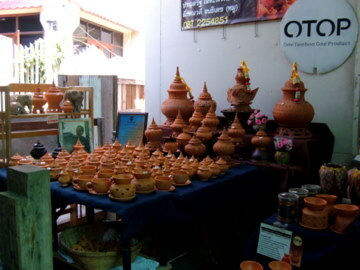 The Thai bronzeware makers in Baan Bu in Bangkok Noi near the community museum of the same name are an older and hopefully more enduring community. The Ban Laos community of bamboo flute makers descendants of an old community from Laos, has preserved their traditional skills in making woodwind instruments to this day. 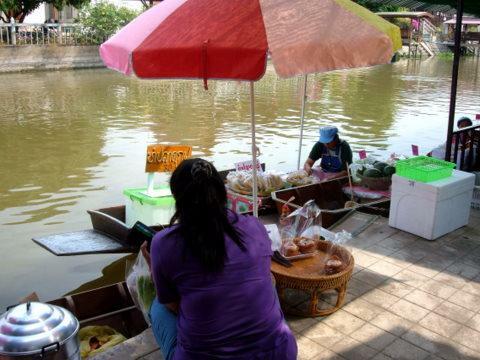 Floating markets preserve a way of life in the past when communities lived near rivers and canals. Their lives were closely linked to the waterways which provided the means for movement and trade in their agricultural produce. 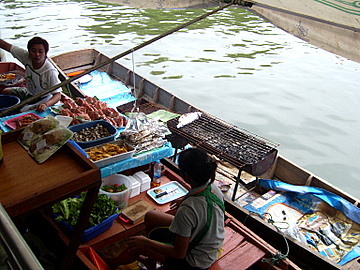 The Taling Chan floating market is one such market in the Thonburi side of Bangkok. 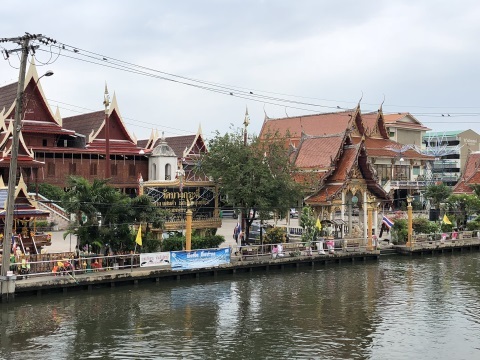 Another floating market that’s based on a local community is the Bang Namphueng floating market in Phra Pradaeng, Samut Prakarn just across the Chao Phraya from Bangkok. 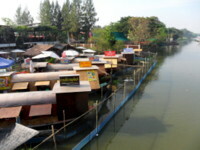 For a floating market with pleasant rustic charm, take a trip to the Sai Noi floating market in Sai Noi district Nonthaburi which is just north of Bangkok. 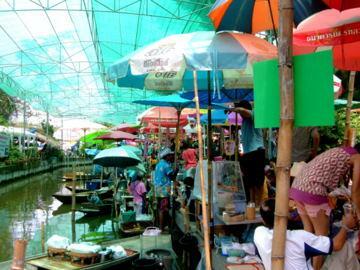 The Kwan Riam floating market on the Saen Saeb canal in Ramkhamhaeng Soi 187 is the newest floating market to date. It’s re-created to bring back the old charm of community life on the canal. 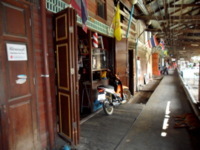 Another old community market is Hua Takhae in Lat Krabang. Over the years, this market has languished. Recently residents have revived the market with a monthly arts and craft display at the Hua Takhae art market. 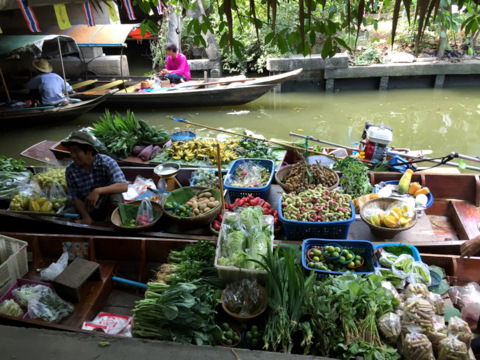 Khlong Lat Mayom floating market is another old floating market that has been revived for residents in the communities in the area to bring their fresh produce or cooked food to sell. 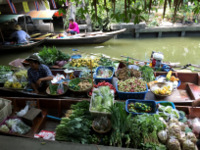 Popular with Bangkok residents, its attractions include good food, snacks, fresh fruits and vegetables and a canal boat tour of an agricultural area. 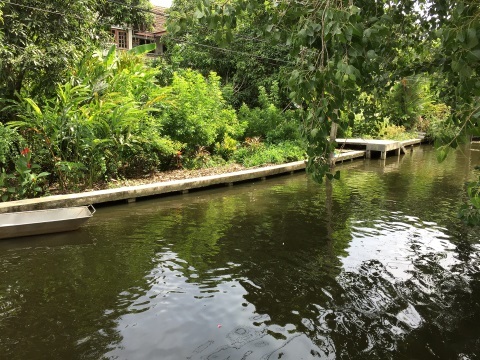 The Koh Sarn Chao Community is really something special, not only in terms of the craftsmanship of members of the community but the physical insulation of the community in an area that’s a virtual island in a city. 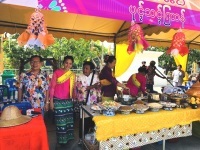 The different Bangkok communities reflect Thai openness and tolerance over the centuries, which have resulted in the cultural richness and diversity so prevalent in Bangkok today.